Mention a French Summer Camp to your child and you might get a roll of the eyes, a groan and the word boring might even crop up. We understand that spending time learning French during the school holidays might not be top of your teenagers agenda, however this is no ordinary language camp. Yes there are French lessons, of course there are, but also sandwiched into the busy weekly timetables are fantastic activities that will make your child’s summer holiday one of the most memorable yet. Morzine has a fantastic outdoor swimming pool with a slide and incredible views of the surrounding mountains. After a morning of studying, we’ll take them for a splash at this amazing facility and let them explore everything there is on offer. Your child can opt to have a go at Canyoning, an adrenaline fuelled, fun activity that isn’t for the faint hearted! 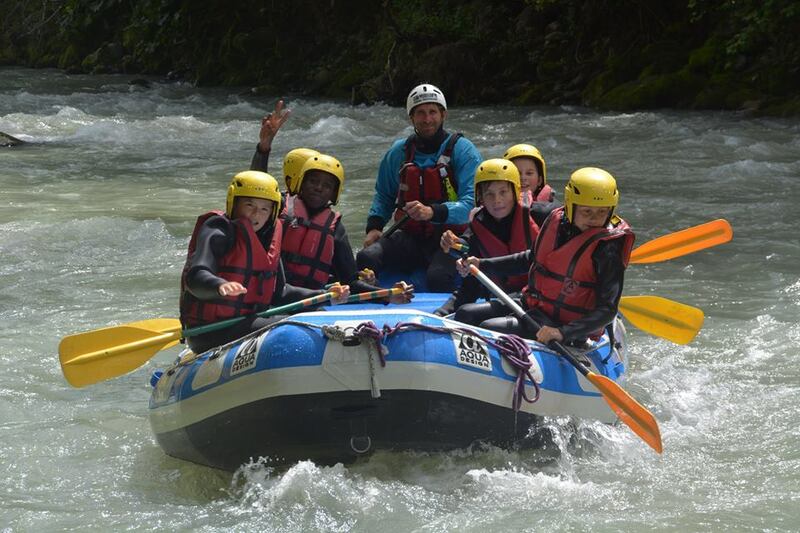 You are taken out as a group by one of the experienced guides and you are shown how to jump into, slide down and swing across waterfalls down the banks of the main river in Morzine. It’s a hugely popular activity and a great one for making friends and team building. Perhaps your child has a head for heights and will enjoy having a go at climbing. There are some fantastic beginner walls around Morzine and the guides here are brilliant. It’s a fun activity but also challenging and a great way to see more of the surrounding landscape. The children will also get lots of fresh air after morning lessons which can only help them when they head back into the classroom. Similar to climbing, via Ferrata takes you high up into the mountains and there are some amazing courses around Morzine to have a go at. Using chains and clips your child will be able to scale and climb rocks and cross cravasses and waterfalls safely. It can be scary at times but is completely safe because you’re always harnessed in. Morzine has a great summer luge that snakes its way down the side of the Pleney mountain in the centre of town. Your kids will love hopping on the chair lift and whizzing down the outdoor slide on a toboggan. This is always one of the favourite activities and a great way for the children to release some energy and have some fun. Time for your child to have a go at playing Robin Hood! Archery is always a popular activity for the children at our French Summer Camp. Students are taught how to fire a bow and arrow in some of the most beautiful surroundings in the world. Slacklining has become an increasingly popular activity in Morzine over the last few years with people having a go at this daring sport in various different places around resort. You’ll often see a group of friends camped out down by the river attempting to walk and almost dance on a slackline between two trees. Our camp leaders show your child how it’s done and more often than not, they’re addicted within minutes! Again, white water rafting down the river Dranse, isn’t for the faint hearted. However it’s brilliant fun and always one of the most popular activities on our camp. The children will love sitting in boats and hurtling down the rapids. They also get to jump off rocks into the water which is great on the hot summer days. In the summer Morzine is a haven for mountain bikers with riders coming from all over the world to try out the tracks and trails of the Portes du Soleil. Your child can choose to have a go at this amazing sport and experience exactly why so many people come here. It’s also a great way for them to see the countryside and explore the region whilst having fun and burning off some of that excess energy. If your child prefers to have their feet firmly on the ground then they could opt to have a go at Orienteering instead. It’s another great way for them to explore the countryside and also test out their map reading skills. These are just some of the activities available to children aged 11-17 on our French Summer Camp. So not only will they be learning a language with us but they’ll also be having the holiday of a lifetime. 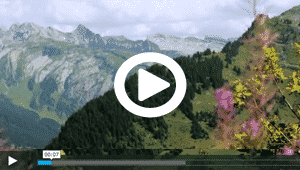 They’ll get to experience everything that makes a holiday to Morzine so fantastic. Never will the word boring be used in reference to a French Summer Camp again!